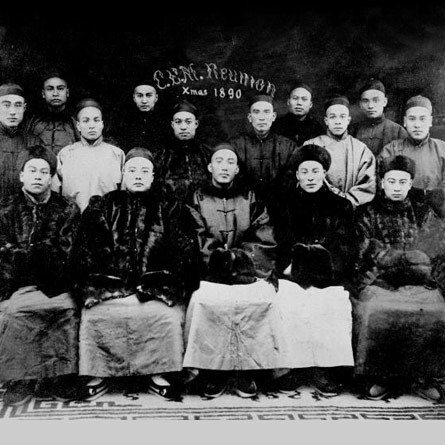 1890 Reunion at Customs Official's Bureau in Tianjin. Front row: Liang Pao Chew, unidentified, Kwong King Yang, unidentified, unidentified. Middle Row: Won Wai Shing, unidentified, Kin Ta Ting, Liang Pao Shi, Lok Sik Kwai, Liu Yu Lin.